Angelica Town Court is located on Park Circle in the town of Angelica, New York. The town of Angelica is located in Allegany County, New York. The town of Angelica is located in the heart of Allegany County, New York. The United States Census Bureau revealed that the town has a total area of 94.4 km2 or 36.4 square miles, 0.039 square miles of which is water and 36.4 square miles is land. Seasonal temperature differences in the town are large, with cold to extremely cold winters and warm to hot and humid summers. The town was named after Angelica Schuyler Church, wife of John Barker Church, daughter of Philip Schuyler and sister-in-law of Alexander Hamilton. It was established in 1805 and named by Captain Philip Church, nephew of Alexander Hamilton, after his mother Angelica Schuyler Church. He directed Everett van Wickle to lay out the site of the town. A central circle was made into a park and the most important community structures were constructed around it. At the center of the town is an amazing public green. Various entertainment options such as concerts and festivals are held throughout the year. There’s also a farmer’s market in the town of Angelica, New York. You will find a lot of historic buildings in the town and many of which are included in a National Historic District. There are also plenty of shops offering collectibles, furnishings, pottery, antiques and gifts. You can find bed and breakfast accommodation options and restaurants where you can enjoy delicious meals. The town’s culture, history and architecture have attracted many people from different parts of the world. Angelica has stunning, rural views and historic homes. Residents are also proud of the tree-lined Main Street. The downtown businesses operating in the area and the National Historic District are major contributors to the town’s economy. If you are in Angelica, don’t forget to visit the town’s most popular spots with your family and friends. Angelica Town Court personnel are prohibited by law from providing you with any legal advice. They will attempt to guide you through the process; but if you have legal concerns, you should seek the advice of counsel. The Nelson Law Firm receives calls from attorneys across New York State asking me to ‘cover’ a traffic ticket for him or her. This is because not all traffic tickets can be handled by mail. Most of the time, I can appear on my client’s behalf or even handle the matter by mail, but sometimes courts require the attorney to be present in court. For example the courts of Limestone, Perry or the Village of Ellicottville can not be handled by mail, attorney must be present. 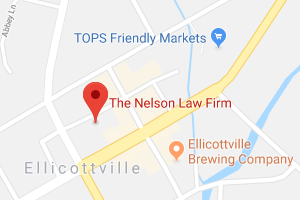 When you hire an attorney from New York City to appear on a traffic ticket that was issued hours away from the big city, they call a local attorney, such as The Nelson Law Firm. Did you receive a ticket in Angelica Town Court? We help people throughout New York state and have offices in Ellicottville, NY (Cattaraugus County) and Cheektowaga, NY (Erie County). We serve Cattaraugus County, Erie County, Allegany County and Chautauqua County and all other cities and counties in the state of New York. 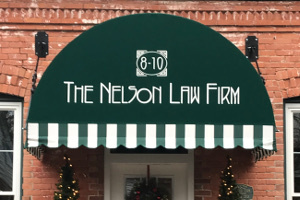 If you need to fight your charges with experienced representation, contact The Nelson Law Firm today.